These programs take information from other systems that gather hours worked by employees and formats it for loading to Abra Suite's payroll timesheet module, saving lots of time from not rekeying data. Depending on the client's needs, these systems may have extensive user interfaces or none at all. 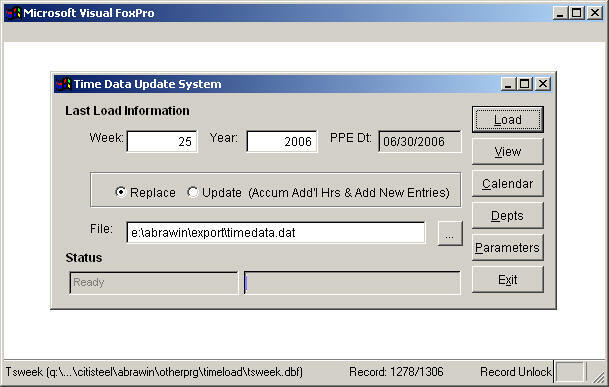 Takes data captured by internal Progress Database application and formats it for entry to Abra Suite. 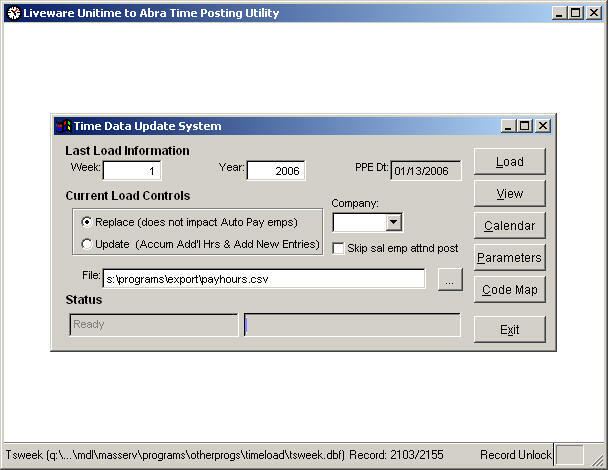 Has capability to map earnings codes in Progress system to multiple targets in Abra Suite for both regular and overtime hours. 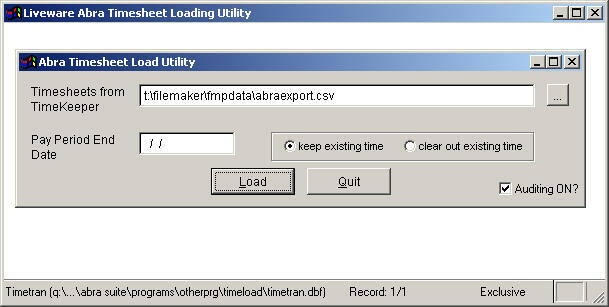 Takes information from Sage Systems's MAS90 for time worked and formats it for load to Abra Suite. Has special capability to record data placed into the timesheet file in Abra Suite's audit trail format to control potential fraud / abuse.